Hammer time - tiny tradies give this toddler toy the ultimate test! Hammer time – tiny tradies give this toddler toy the ultimate test! If you really want to know how good a toy is – just give it to a child. They’ll soon let you know if they love it, or prefer the box it came in. We’ve gathered some young road-testers to give us the low-down on a really clever toy that adapts to your child’s learning stage. We’ve had these tiny tradies test out one of the coolest toddler toys around – and yes, there’s a hammer involved! Has your child ever found a toy they love so much it has to come with them everywhere they go? For Riley B, this toy is the Fisher-Price Laugh & Learn Smart Stages Toolbox. 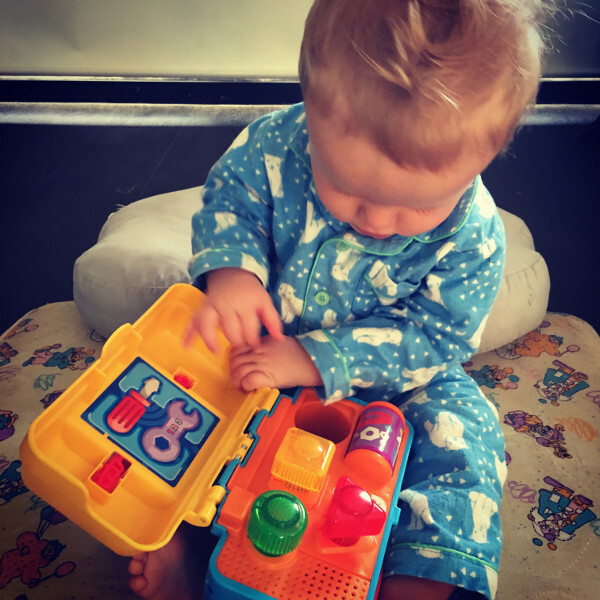 Hayley was one of the 12 mums and kids who tried out the Fisher-Price Laugh & Learn Smart Stages Toolbox and her adorable son isn’t the only little one who loves his new toolbox. It seems as though all the little ones enjoyed learning the tools of the trade. If you’re not familiar with this toy – it’s aimed at little ones from six to 36 months. That’s a pretty wide spread, and that’s because it adapts to your child’s age and stage, by using Smart Stages technology. 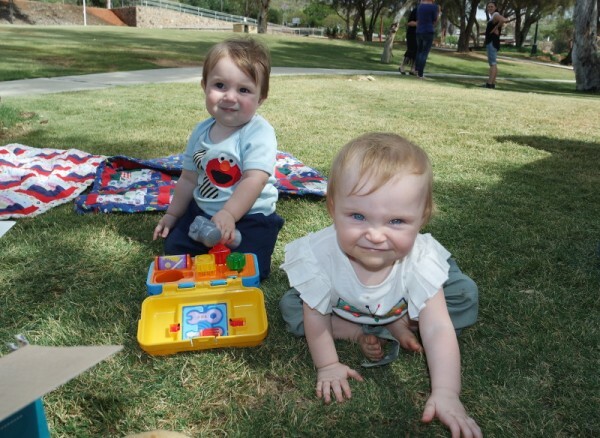 Level one helps teach first words, level two gives your baby prompts through questions and directions, and level three uses imaginative fun and early role playing. It’s one of those toys you’ll probably pull out of the toy box again and again, as your baby discovers new things they’ve learnt. Our little testers were a spread of ages, the eldest a two-year-old, down to just a few months – and that little, plastic hammer proved a favourite with all of them (what is it with kids and banging things together?!). The bright lights and music were a hit with the youngest in the group – even at just four months old, little Zavier’s mum said she could see his eyes following the sequence of lights. And then there are the simplest things which all kids seem to adore – like opening and closing the lid of the toolbox, which had a few of our testers enamoured. Lots of our mums told us their child decided the toolbox was their new favourite thing, and would tote it around the house all day. Check out our video A day in the life of a Fisher-Price toy and visit our archives to discover even more great toys from Fisher-Price.